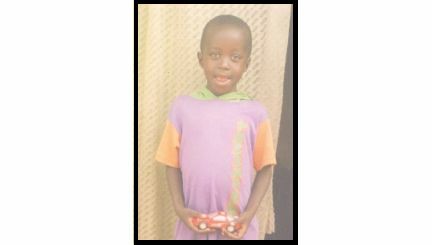 Thank you for your interest in sponsoring a child! 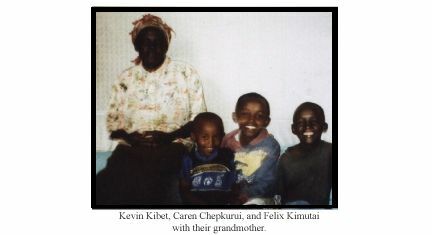 Several children are featured in the photo gallery on the right side. For most of these children, hunger and poor nutrition is a constant companion. They may survive on one meal a day. Sometimes these children go for several days without eating. Sponsored children receive a good education, books, and school fees. Many of these children are eager to go to school, but are sent home because they lack the money to pay school fees or other basic necessities. Because these children do not have proper clothing to attend school, they are sent home. In addition, they are scantily dressed and do not have sufficient clothing for cold evenings. Few have shoes for their feet, making them more prone to parasites, bacteria, diseases and wounds as they walk about. What does it take to help a child? 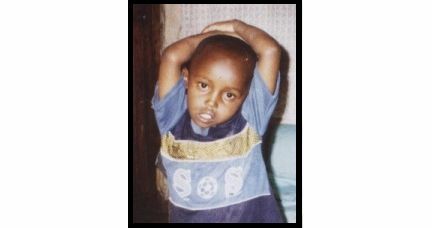 For only $38 a month, or $1.22 a day, you can change the life of a little child in Africa. These children are waiting for sponsors and they cannot go to school or receive the basic necessities of life without your help! Through your kindness, these children understand that someone loves them and cares about their future. Even more, these children understand that God loves and cherishes them. By sponsoring on a monthly basis, opportunities for education, health and basic necessities of life will be provided for the child. We would ask that you commit to helping your child for one year. In that length of time, the child's needs are met on a consistent basis. May I send a package or letters to my child? Yes. Sponsors may send packages or letters to their child. Items that are sent must be age-appropriate for the child. Please also consider that some of these children are in homes where there are other siblings in need. Exchange letters, photos and prayers. Become a friend as you teach them about Jesus through your kindness. Can my child write back to me? Yes. Letters from your child will be distributed to you on a quarterly basis. View the children's photographs and some biographical information about each one. Choose a child to sponsor by contacting Sarah Maitland, Program Coordinator at TakeupcauseFMIN@aol.com. What if the child I choose to sponsor is already sponsored? You will be given another choice. In this way, we will insure that all children are sponsored and there will not be overlap for some and for others, not at all. How can we be sure the money goes toward the child's needs and is not misused by another family member? Bill and Lenah Kilel will be supervising all funds. Using Godly wisdom and knowledge of the people, they have developed a procedure to guarantee all money goes exactly where it is needed with no possibility of misuse. All supplies will be purchased for the children and no cash will be available to use for other purposes. If you are paying by credit card, monthly payments are made at our website: www.fmin.org/store. What if I prefer to make a donation to the general fund? We welcome your donations. Your contribution can ease the suffering of the poorest of God's children. Give a one-time gift to help these families. Donations can either be made for a specific child or to general distribution. Please go to our website at www.fmin.org/store if you wish to make a contribution. Where do I make my donations? If you are paying by credit card, donations are made at our website www.fmin.org/store. Click here to go to the webstore to start your sponsorship.